Sergei Magnitsky’s mother has filed a complaint with the judicial collegium of the Supreme Court of Russia in relation to the second posthumous proceeding organized against her son by the Russian Interior Ministry. 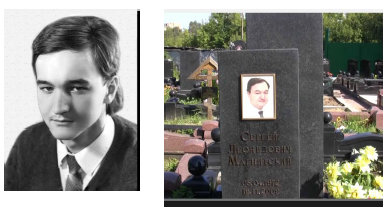 Under this second posthumous case, Sergei Magnitsky has been named after his death as a “co-conspirator” in the $230 million tax refund fraud that he had in fact uncovered and exposed. “…Investigator Urzhumtsev in violation of the principle of presumption of innocence, in violation of the constitutional right for defence, in the absence of a court order, in the absence of preliminary investigation, had stated in his decree [from December 2010] that Sergei Magnitsky who died a year before [in November 2009] in Matrosskaya Tishina detention center, committed a serious crime… the theft of 5.4 billion rubles [$230 million]…The conclusion itself must be qualified as slander in relation to knowingly innocent person,” says the complaint. “He [Investigator Urzhumtsev] knew very well, that Magnitsky not only was not complicit in the theft of 5.4 billion rubles, but that Magnitsky was the first person who had uncovered the crime committed against the three companies of his client, and who had exposed the criminal activity of perhaps one of the largest criminal groups which specializes in unlawful tax refunds,” says the complaint. Interior Ministry Investigator Oleg Urzhumtsev was included on both the investigative team on the case against Sergei Magnitsky under which Magnitsky was arrested and ill-treated in custody; and on the case to investigate the $230 million theft that Magnitsky had uncovered. The second investigation led by Investigator Urzhumtsev finished by exonerating all Russian Interior Ministry and tax officials from liability for the $230 million theft, and naming Sergei Magnitsky as co-conspirator posthumously and in secret from his relatives. Urzhumtsev also was responsible for assigning the blame for the crime to a “jobless” person named Vyacheslav Khlebnikov in a fast-track proceeding which ended with a lenient sentence of five years for the $230 million theft. As part of that proceeding conducted after Magnitsky’s death, Khlebnikov gave a false testimony against Magnitsky from detention. The complaint says that Investigator Urzhumtsev has concealed the real perpetrators by blaming the $230 million theft on Sergei Magnitsky, and two other deceased individuals (Mr Gasanov and Mr Korobeinikov), neither of whom were alive and could be questioned at the time of the investigation. “The evidence in the case file objectively demonstrates that Investigator Urzhumtsev acted in the interests of persons who perpetrated the theft of 5.4 billion rubles [$230 million], and who using his own terminology, “found” two deceased individuals in order to put on them the liability for the theft of budget funds, and in order to provide the service of concealment for the real perpetrators of the crime,” says the complaint. It was since uncovered that Mr Gasanov died on 1 October 2007, two months before the $230 million was committed. Mr Korobeinikov died in September 2008, “falling of a balcony” of a building under construction, according to the Russian investigation. Ms Magnitskaya asks the Russian Supreme Court to examine the lawfulness of investigator Urzhumtsev’s actions and annul previous decisions by lower-level Russian courts who rejected her complaints. “The court must check the lawfulness and the justification for the Investigator’s decree… The previous rejection violates the constitutional principle of the presumption of innocence because deceased Magnitsky was named by Investigator Urzhumtsev as a co-conspirator in a crime,” says the complaint. “The court had an opportunity to check the arguments using the criminal case files, and by inviting investigator Urzhumtsev to give testimony, but it failed to do so…As a result, the conclusion of the court [of lower instance] is not supported by the factual circumstances, which is … the ground to cancel the court decision,” says the complaint in conclusion. Previous complaints from Ms Magnitskaya addressed to lower instance courts have been rejected by Moscow district judge Tatiana Neverova, and Moscow city court judges Andrei Titov and Lyubov Ishmuratova. In the United States, 26 Russian officials and private individuals involved in Sergei Magnitsky’s detention and ill-treatment in custody and in the criminal conspiracy Magnitsy had uncovered have been sanctioned under the US Magnitsky Act. The list includes several colleagues of Investigator Urzhumtsev on the Russian Interior Ministry’s investigative team in the Magnitsky case. Sergei Magnitsky’s mother has spoken of the suffering she has been subjected to in her calls to seek justice for her murdered son in Russia. In an extensive interview to the Open Russia website, Natalia Magnitskaya spoke of her grief of the way that Russian officials have dealt with her complaints. In another report on the Open Russia website in memory of Sergei Magnitsky, Russian journalist and human rights activist Zoya Svetova recalled how she and other members of the Moscow Public Oversight Commission investigated the circumstances of his murder in detention. 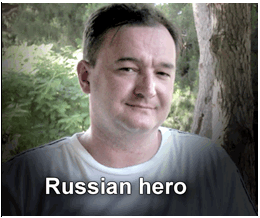 Materials to Commemorate the 5th Anniversary of Sergei Magnitsky’s Killing in Custody can be found on Open Russia website.